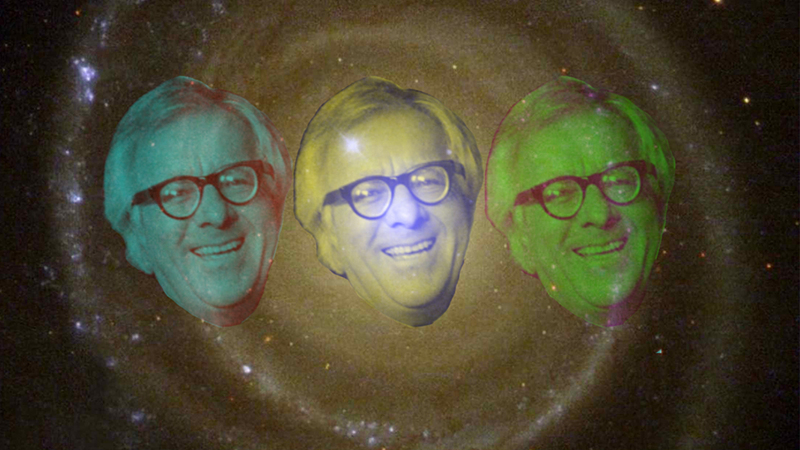 Ray Bradbury’s stories and novels have been adapted into at least a hundred films and television specials, but many aren’t widely available. This screening presents three short films that were made for the educational film market in the late 1970s and early 1980s. They’re so obscure that two of them aren’t in the Internet Movie Database, and it’s practically impossible to find out much about them. This might be the only chance you get to see them in your lifetime, and they’re all on glorious 16mm film. Bernard Selling’s The Flying Machine (1979, 16 min., based on a 1953 story) is the story of an inventor (Michael Chan) in imperial China who builds a flying machine out of bamboo and runs afoul of the emperor (James Hong from Big Trouble in Little China). Selling, with whom we corresponded while researching this program, says that Bradbury especially loved this one. In Dianne Haak’s The Veldt (1979, 23 min., based on a 1951 story), a futuristic house provides for a family’s every need… until something goes wrong. It’s quite possible that this stars a preteen Jason Bateman. Finally, Ed Kaplan’s All Summer in a Day (1982, 25 min., based on a 1954 story), photographed by future Oscar winner Robert Elswit, follows a class of students on Venus, where the sun is visible for only one hour every seven years.